We are proud to inaugurate a new series of poems by Marylen Grigas, illustrated by Riley McAlpine-Barthold. These elegant poems map the boundaries of home, body, illness, and love, boundaries also eloquently evoked in the line drawings. 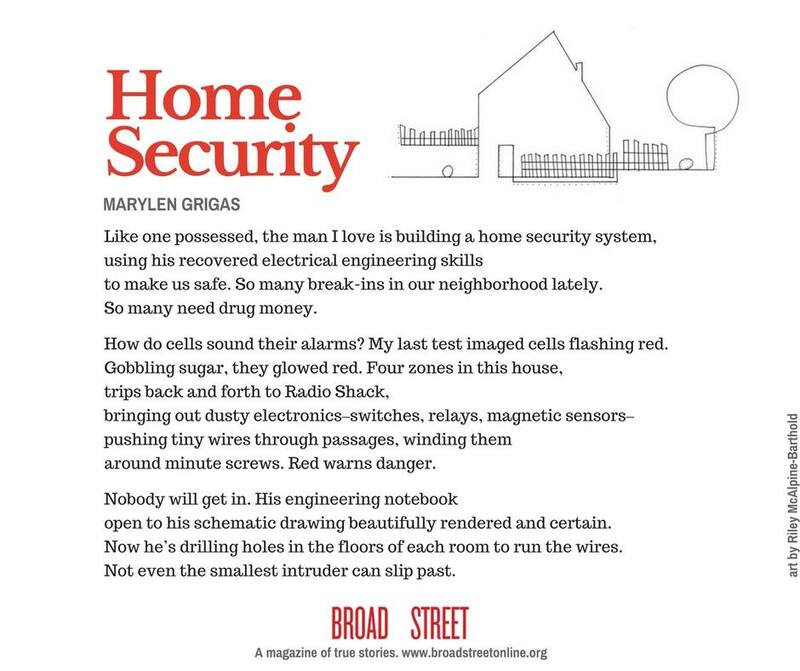 Click on the title or artwork below to see the poem in a printer-friendly, larger-font version, or scroll down past the bylines for plain text. Marylen Grigas is the author of the poetry collection Shift, out this fall from Nature’s Face publishers. Her poems have recently been published in The New Yorker, Alaska Quarterly Review, and Circulo de Poesia. She lives in Vermont and works at an architectural stained glass studio. Riley McAlpine-Barthold grew up in rural Vermont in a cabin without electricity or running water but with lots of time to draw. After college, she moved to L.A., where she worked as an artist and painter. Now back in Vermont, Riley continues to make art and is also a certified Bioenergy therapist. Read what Grigas has to say about the series by clicking here. Watch this space for new works appearing once or twice a week in September and October. to make us safe. So many break-ins in our neighborhood lately. So many need drug money. How do cells sound their alarms? My last test imaged cells flashing red. around minute screws. Red warns danger. 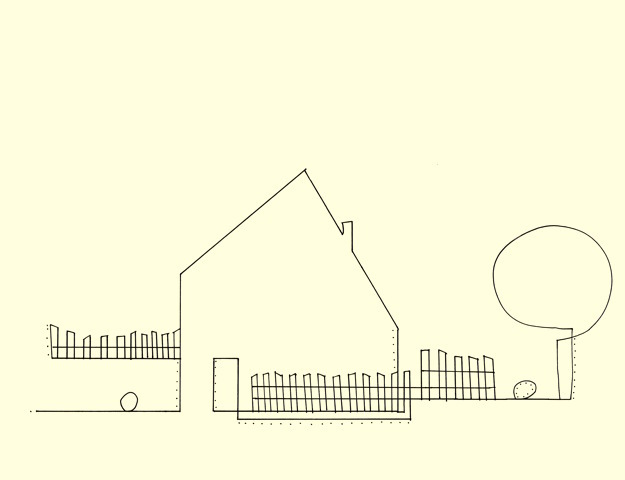 open to his schematic drawing beautifully rendered and certain. Now he’s drilling holes in the floors of each room to run the wires. Not even the smallest intruder can slip past.